The earth is too hot. But we do have effective, affordable solutions if we can scale up action rapidly. 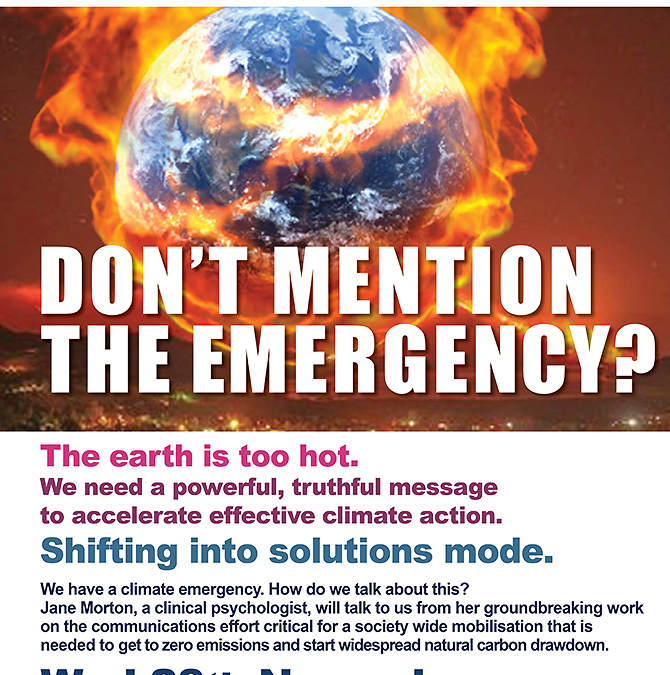 Jane Morton, an experienced clinical psychologist will give us valuable insights on how to communicate the climate emergency, as a basis for working together for this critically important task. 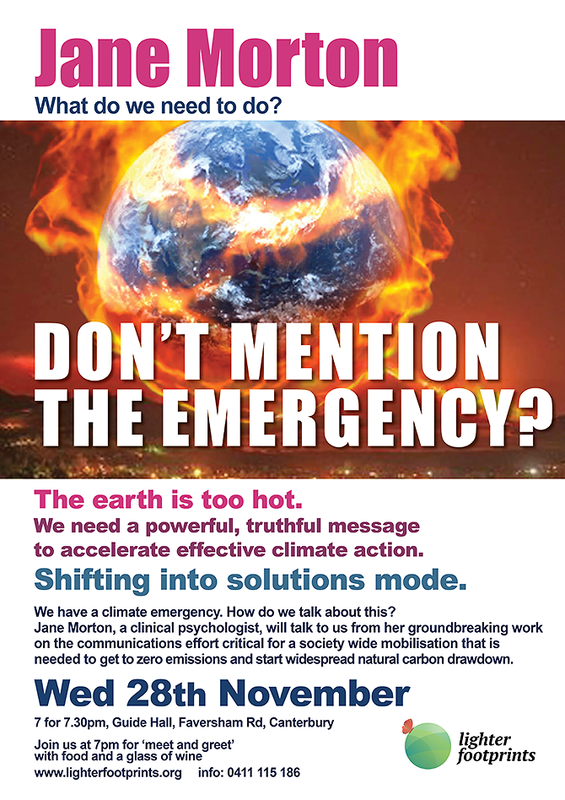 Jane Morton’s booklet is already into its second printing in under two months, and has been widely distributed to policy makers, first responder agencies and is now informing the growing climate emergency movement in the US and the UK, with Los Angeles and other municipalities joining 5 councils in Australia, and now the first in Britain, in declaring a Climate Emergency, and moving ahead with citywide action plans. Jane’s booklet offers not only a clear outline of the task we face in addressing climate change, but gives us ways to approach it. The booklet is available to read here. This meeting is on the last Wednesday of the month – November 28 at the Guide Hall in Faversham Rd Canterbury – 7 pm for 7.30 start. If you are on Facebook, you can encourage others to come to this important event by registering on our Facebook Event.